Turn a literature sorter into a useful drawer unit with a set of drawers. Perfect for filing all manner of paperwork, class work, or art and craft materials. Each drawer holds A4 size papers or documents. The drawers are available in five bright colours, are easy to assemble and flat packed for storage. Supplied in a mixed colour pack of 5 (1 of each red, yellow, green, blue & orange). 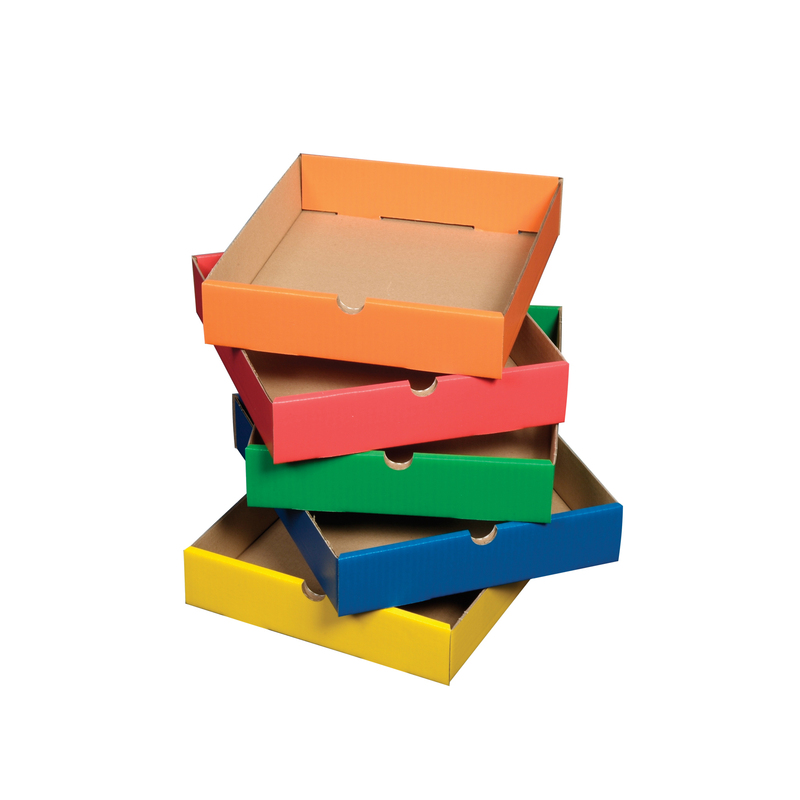 Made from heavy duty corrugated board and supplied flat packed for quick and easy assembly. H60 x W275 x D320mm.